I learned something at horror camp this year. This has been a big Scary Movie Month for me, you guys. I don’t just mean in terms of discovering new things and achieving a deeper appreciation for horror, but also a change in my own interpretation of current state of the genre. It seems like it’s always October where I end up discovering something secret and buried within, tap-tap-tapping on my door like the raven. Going into Scary Movie Month 2014, I was sure that horror as a genre was in trouble and needed saving. I was coming off of my first--though certainly not last--trip to WonderFest in Louisville, KY, a convention that lovingly embraces classic horror and science-fiction. Fairly or not, the impression I left with after that weekend was that the great horror movies of the past are being forgotten by all but a small, dedicated group of fans who are now in their fifties and sixties and who define themselves as being the keepers of the sacred horror flame. If not for them and their efforts to hold onto the feeling those movies gave these “monster kids” decades ago, there’d be no one to carry the legacy of the films forward into a new generation. There’d be no torch to be passed. This October has taught me that, in actuality, nothing could be further from the truth. As I’m writing this, the Scary Movie Challenge goal of 2,000 or more seven-word reviews has been met and surpassed days before Halloween, and it’s clear that this is without a doubt the most successful Scary Movie Month to date because of awesome horror fans like YOU. And you know what? I gather that almost none of us are actual “monster kids” (though I don’t mean to speak for everyone) in the sense with which that label was intended. Most of us grew up in the ‘80s or later, when Frankenstein and Wolf Man were cartoons instead of actual characters from films we discovered at a Saturday matinee or on television when we were very young. 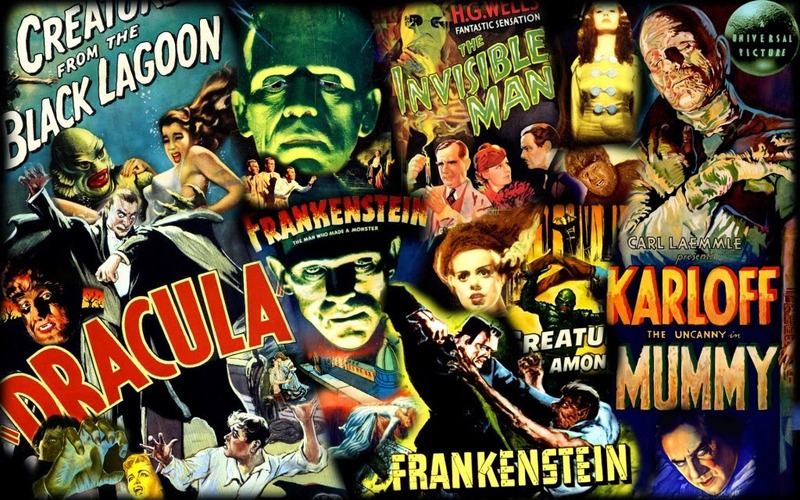 We probably didn’t spend hours working on models of Dracula or reading Forrest J. Ackerman’s Famous Monsters of Filmland magazine and we most likely didn’t have conversations on the playground about who would win in a fight between Christopher Lee and Bela Lugosi. Most of the time, I wish that was my childhood experience; I wish I was a classic monster kid. Then I remember that we had our OWN monsters. 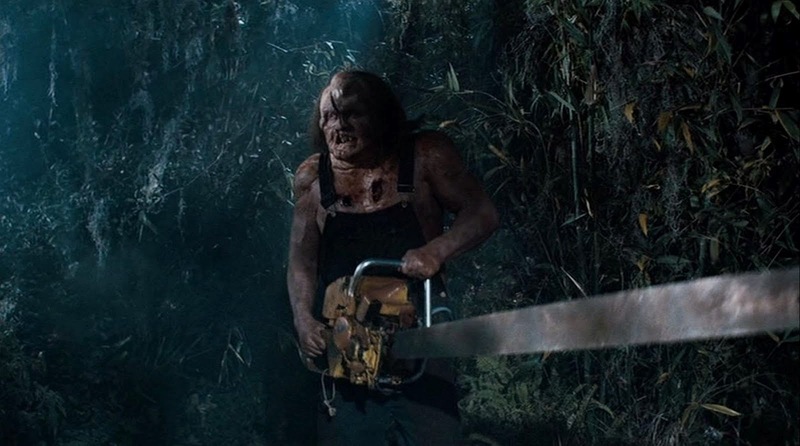 Our childhood imaginations were most likely filled with the Stay-Puft Marshmallow Man, the vampires from The Lost Boys, Gremlins, Freddy and Jason, Leatherface, the Leprechaun, and Ghost Face from Scream. The 1980s and 1990s saw a rebirth of iconic horror and the rise of video and cable TV made sure that these movies were always accessible. I’ll be honest with you: each and every single October, I wonder “where are the new iconic monsters?” But in doing that, I’m doing the same thing that some of those monster kids are doing with their own beloved memories. And to be uncomfortably frank, I’m being overprotective of a genre that I’m fiercely passionate about because it was largely kept from me for the first 18 years of my life. I didn’t see most of the horror movies from the 1980s until at least ten years later when I could do what I wanted. I never went trick or treating as a kid. I never had monster cereal until I had moved out of my parents’ house. No one loves horror films like someone who wasn’t allowed to watch most of them for half of their lifetime and is now making up for lost time. But then she tells me that the older kids are seeking out movies like The Cabin in the Woods, which, as Patrick has pointed out, is nearly the last word on the genre. And what am I to make of the fact that the highest grossing film at the box office this past weekend was a horror film, or that there are at least four different horror-related movies in cinemas right now? These are all signs that point to a genre that’s still thriving and still has a lot to say. And the hit-to-miss ratio is the same it’s always been. Even in the halcyon days of the ‘80s and ‘90s, there was WAY more garbage than good stuff, even if I tend to forget that when I climb up on my pulpit. You know what? I even like a lot of those, now. And, hey, what about those “forgotten” horror films of the ‘30s, ‘40s, and ‘50s that I was talking about? Your seven-word reviews have made it clear that horror of the past is just as relevant, if not more, than the stuff that’s being put out now. Could mainstream cinema do a better job to promote GOOD horror and get it out there? I’m glad you asked! Absolutely they could; we’re way overdue on a genuine horror phenomenon. The last truly iconic horror movie that I can really think of is Scream, which wasn’t just a success, but a true sensation. I have to give Universal credit for trying to do something with their monster properties, as they try to follow Marvel’s Avengers model of introducing sympathetic characters in individual films that they can unite for a huge tentpole blockbuster down the road. Whether it succeeds or fails almost doesn’t matter, because at least they’re trying something risky. It’s time for the major studios to really put their money behind horror and knock one out of the park. In the meantime, a lot of what I consider to be “pure” horror is still being made independently from directors like Adam Green, Joe Lynch, Ti West, and Adam Wingard, just to name a few. In the end, it ALL has a place, not just the stuff from the heyday of horror. This may seem obvious, but I honestly didn’t figure that out until THIS Scary Movie Month. I’ve been so worried about the survival of the genre that I failed to realize that horror is alive and well. Sometimes it’s wonderful to be wrong about something which you thought you knew for sure. I thank you for that. In a couple of days, the blood-red candles will get snuffed out and we’ll raise the lights on another Scary Movie Month. As we exit the building, we’ll all take stock of who survived while we count the bodies of those who didn’t, and we’ll laugh about the things that scared us as we tell of movies that we’ll revisit year after year. We’ll carry that horror flame with us throughout the year, waiting with anticipation for that chill in the air as another Scary Movie Month creeps closer. The truth is that WE are carrying the horror torch now, and it’s burning brightly. Now if you’ll excuse me, I’ve got to get back into the haunted house. Dawn approaches, but there are still a few hours of darkness left. The spirits are restless, the monsters are moaning, and there’s much work still to be done. I’ll see you on the other side…if you survive. The taking stock comment made me think it would of been funny to keep count of how many murders and deaths I and we all have seen this month. Most definitely an unhealthy amount. Im ready for some Rom-coms in November as a palate cleanser. Thanks, Dennis. 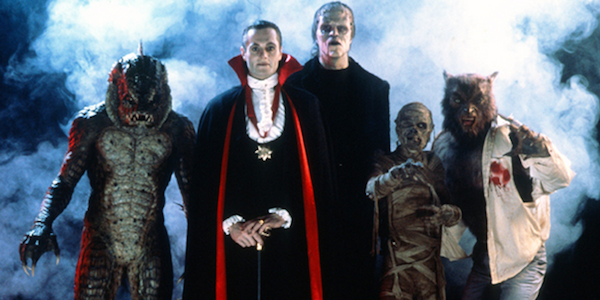 You should definitely check out those classic monster movies at some point. The core Universal ones still hold up fantastically. As for November, yes, it's time for a palate cleanser. I think I'm going to spin Back to the Future on Saturday, just to slip into the warm and fuzzies as we go into the holiday season. But hey, there's always those romantic period dramas I talked about on the Event Horizon episode...just kidding. All I can say is that those are damn fine (and TRUE) words you've written, Heath. Flat-out excellence, sir. 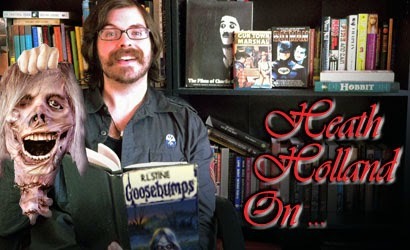 Great article Heath - glad you got your horror groove back! Though I agree with your critique of the genre to an extent and see how it's perhaps lost some of the magic it once had, I can't say I was quite as worried about it as you - movies like House of the Devil, The Innkeepers, The Woman and You're Next has me pretty enthused about the state of horror in the past few years. I think we've officially come out of the horror shithole that was the early Oughts!